Wet detention ponds temporarily hold back, or detain, the first inch of runoff from a site. This type of pond relies on the sun's UV rays to break down stormwater pollutants into a form that wetland plants can absorb naturally. 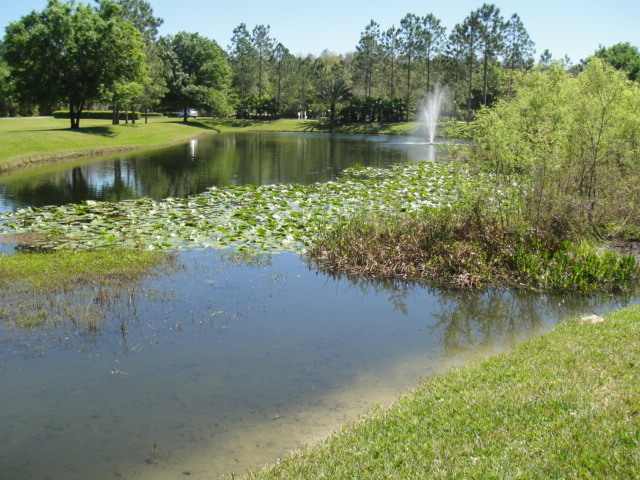 Wet ponds can be well-manicured to serve as a central landscaping feature, or they can also be allowed to grow "wild" to provide a habitat not only for wetland plants, but for wildlife and birds as well. A wet pond that may appear to be "over-grown" is not in violation of its SWFWMD permit as long as it functions properly. 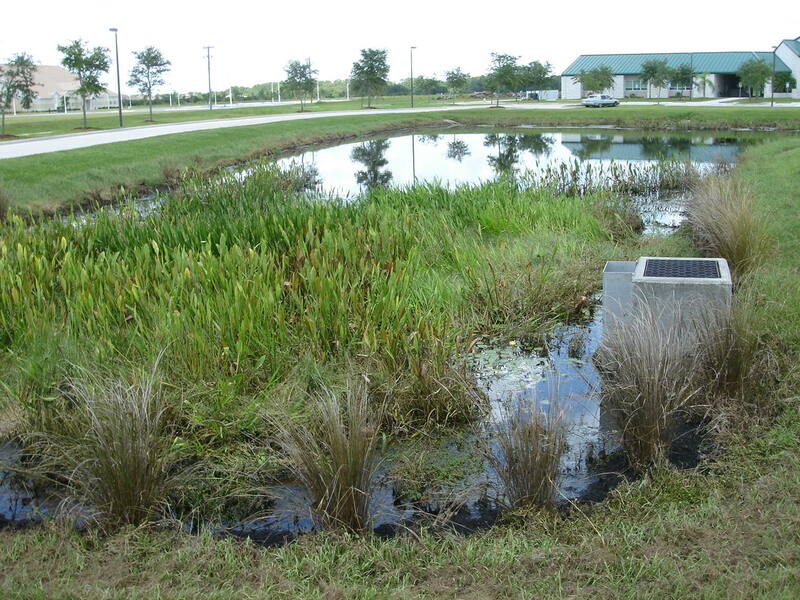 A wet pond does not have to look "pretty" to be in compliance with its SWFWMD permit. Although non-native nuisance plants and trees are not desirable, their presence is not a violation of your SWFWMD permit and they do not have to be removed.